SOLANA BEACH — People driving along Coast Highway 101 in Solana Beach lately may have noticed something new besides improvements to the roadway and sidewalks. Story poles — those large sticks with flags on them — at Dahlia Drive and Sierra Avenue indicate what a proposed mixed-use development will look like should it receive approval from City Council. The project is slated to include 31 rental units, about 34,500 square feet of ground floor commercial and retail space and approximately 14,100 square feet of second-story office space. There will also be 344 onsite parking stalls in a two-level below-grade garage. According to Monica Jones, with property owner American Assets Trust, there has been “considerable interest” from merchants. She said the company has been reaching out to grocery, retail and service-related tenants. None of the residential units will be priced in the “affordable” or “low-income” range, she said. The story poles were installed May 5 and are expected to be up for 30 to 60 days. 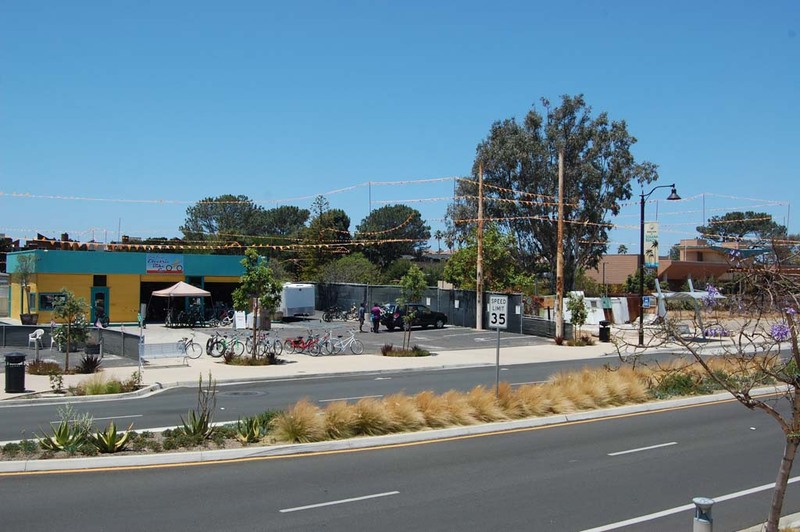 American Assets, which also owns Lomas Santa Fe Plaza, Solana Beach Towne Center and Solana Beach Corporate Centre, bought the 1.76-acre lot in late 2011 for $6.85 million. It was deemed one of the largest coastal commercial land transactions at the time. The site currently includes a former mobile home park, a duplex and two commercial buildings. Broker Steve Bruce of Carlsbad-based Lee & Associates, who represented both buyer and seller in the off-market deal, said he had been tracking the property for a while but was not hired to market it. When the owner, the private Maganda Corporation, came to a fair price, Bruce said he contacted American Assets and a few other companies. Bruce said Maganda bought the site in 2003 for $3.4 million. American Assets has been planning to renovate the Vons shopping center east of Interstate 5 since 2008. Due to poor economic conditions resulting in a lack of interest from new tenants the company sought and received an extension. Jones said there is no update on the plans at this time.